In fact, you probably have it with you right now... And once you learn how to use it to help your pitching, you'll be amazed how simple (and fun) it is. See, I had all these preconceived notions of what a good pitching delivery should look like... All the things the "gurus" told me were important. Heck, they led me to believe if I let my pitchers stray from these exact mechanics, they'd be doomed to failure - and their arms would probably EXPLODE in the process. Even at the time - deep down - I knew something wasn't right. Anyway, thankfully I got off that track pretty quickly... I saw the light, so to speak. See, it has never been easier to take quality video and analyze your (or your son's) motion right on your own computer or mobile device. Sure, it's great having such easy access to video so you actually see how the pitcher is moving (and for HIM to be able to see it). But combine that easy access to video with information overload… and you’ve got a recipe for disaster. On top of that, with all the conflicting information out there about pitching mechanics, the whole thing can leave you wanting to pull your hair out. For example, let’s say you’ve got two different coaches - one for your school team and another for summer ball. Over the past several years, I've been in a pretty unique situation. 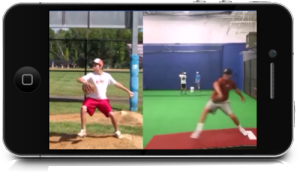 Between the guys I work with locally and the guys who follow my program online, I've looked at video of hundreds of young pitchers and spent countless hours analyzing video and comparing it to the pros. And I've noticed some alarming trends. 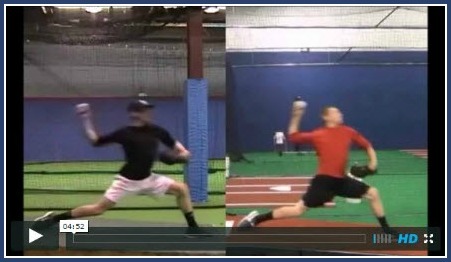 The more videos I was sent, the more I kept seeing the same big differences between these amateur pitchers and their elite, high-velocity counterparts. It wasn't 36 different "positions" or flaws... These were basic CORE elements needed for power and command. When I started really keying in on these big power moves, everything changed. And once my pitchers understood how to work on them, all of those nit-picky things I used to get hung up on started miraculously taking care of themselves. But here's the big reason I'm excited to be sharing this information with you. A pitcher's only going to get so far trying to fit into someone else's mold... And if all you do is rely on a "guru" or coach to tell you how you need to move, you're handcuffing your own development. But when you can sit down, look at your own motion and really KNOW, inside and out, what to look for... That's when the magic happens. That's what I'm going to show you how to do in this program. But first, here’s what this program is NOT. 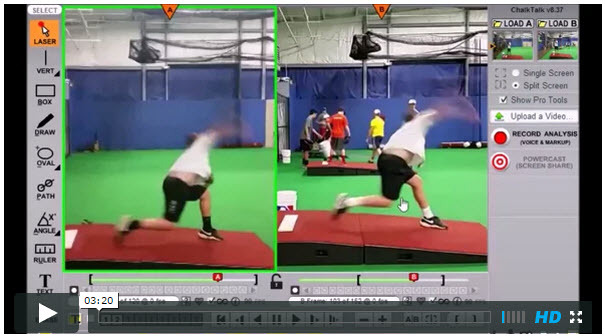 It’s not just a bunch of old motion analysis videos I did for other pitchers thrown together and repackaged as a totally new program… FAR from it. 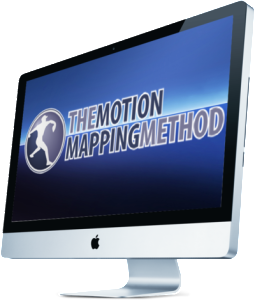 Every single motion analysis video in this program is completely new and was created specifically to help YOU learn how to use video and motion analysis software to skyrocket your pitcher’s development. 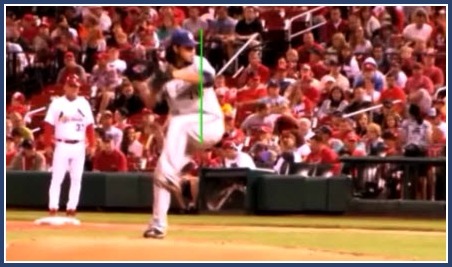 How would you like to sit down, look over my shoulder and see EXACTLY how I do my Motion Analysis? 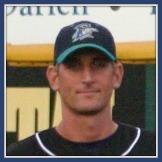 I’m a pitching coach after all. If I can do this stuff so can you. When I first told people I was creating this program, they said I was crazy. They told me I was "Giving away the Secret Sauce." They said if I did, I'd better charge an arm and a leg. I mean, you look at what some of the "gurus" out there charge for just ONE motion analysis (upwards of the $350), and you can understand why they'd say this. I mean, I'm basically eliminating the need for my services, right? Teach him to understand HIS pitching delivery with his OWN eyes… and he’ll become his own best pitching coach for a lifetime. Sure, there’s value in getting an expert opinion or getting a look from “another set of eyes.” And I’m happy to continue to offer that service (there’s real value in it when communicated well). And they belong to the guy with the ball in his hand. That’s what this program will do for you. 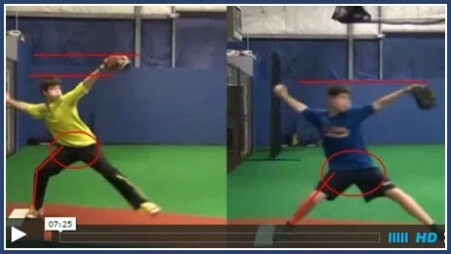 You’ll be able to go deep into your own pitching motion, connect what you sees with what you feel… and know your OWN pitching mechanics inside and out. While this program will be SAVING you a ton of wasted time and frustration, it's NOT going to be cheap. See, one thing I've learned is that you give information away, no matter how good it is, people don't value it the way they would if they'd made a real investment. But for the people who understand the importance of a sound investment and how the right information can fast-track their development, they'll easily get five to ten times (or even 20X) the value back in real world results. And bottom line, if you’re not serious about your pitching future or giving your son the knowledge he can use to become his own best coach, you’re in the wrong place. Okay, if you’re still with me you're gonna LOVE This. Because if you're looking for total pitching immersion and gaining a DEEP understanding of what really matters in your delivery you're in the right place. And if you're the kind of guy that values a little effort and knows when you really take ownership of your development, that's when it becomes FUN (imagine that), then this program is definitely for YOU. 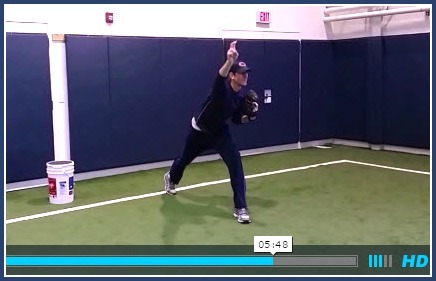 In the first part, you’ll dive deep into the key movements of a powerful pitching delivery, looking at high impact video of both amateur and professional pitchers. This is where you’re building the all-important understanding needed for making meaningful progress. You’ll also learn all the ins and outs of working on your pitching delivery, broken down according to the 3 Stages of Motor Learning. This info ALONE could easily be a program all by itself. But I wanted to hold nothing back. So I decided to completely pull back the curtain and show you EXACTLY how I use video and motion analysis with my pitchers. And if you’re a parent or coach and you’re NOT using video, its’ time to step into the 21st century. These days most kids already have their own high-powered motion capture on them already… It’s called their phone. And if you’re not using video, you’re getting left behind. And that kind of power in the wrong hands becomes a dangerous thing. 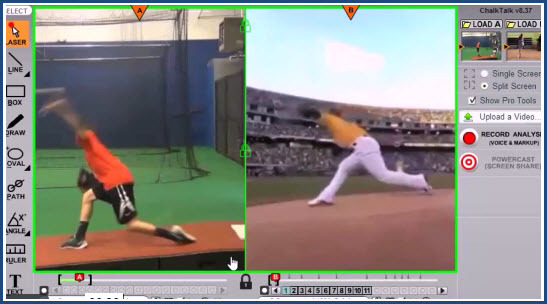 So in the Motion Analysis How-To Section you’ll learn the simple but highly effective process I follow to so you can use video and motion analysis like a seasoned pro and take your pitcher’s development to the next level. And it was with their feedback - real parents, pitchers and coaches - that I built out and completed this program to make it what it is today. And just as I'd been hoping, the early feedback on the program has blown me away. Here's just a taste of what guys are already saying about this program. Phil, This is very good. I think the videos are great. I like that you show the key skills across multiple pitchers. It really helps see the key elements of the motion while illustrating that different guys get there differently. I have purchased and subscribe to other sites as well. I like this the best so far in terms of making it simple. I like how the videos are only focused on a very narrow aspect and are kept from getting too complicated all at once. The majority of the problems our pitchers have are rooted in the bottom half and the approach you've developed has distilled, expanded and clarified how we're working with the boys. I like the videos! For us visual learners, the videos are well produced and explain the mechanics in a way I fully understand. Hey Phil, Still loving what's coming out through the Motion Mapping site. I was watching the mirror and dry-work video on the Phase One page and you implicitly answered a question I'd had but had not been able to coherently formulate. Phil, I have spent around $3,000 over the last 2 years on buying different programs so I could deduce the commonalities and better understand my likes and dislikes. I think this program is the easiest to pick up and understand. Everyone else either uses complicated language or isn't as organized. Great job on this. Think about this for a second… What does it cost for typical weekly pitching lesson? $50, $70… And a lot of times, for a really good coach, it could be $100 or more… Every WEEK. How much more powerful would it be if he could actually SEE (and understand) what he needs to work on and track his own progress? There are some things you only learn through experience... paying the price through trial and error... And if you've got years to invest, logging the same long hours I did, trying some of this, some of that and making mistakes along the way... until you FINALLY hit on a process that gets results and things start to click... You can go down that road if you want to. Or... You can bypass ALL of that with this program because I've already done all the leg work for you. And again, I'm holding nothing back here. You’re getting all of my closely guarded Motion Analysis trade Secrets - including my best stuff that I have NEVER shared before publicly. So as you can see, the info you’re getting is infinitely more powerful than what you’ll get from ordinary pitching instruction. 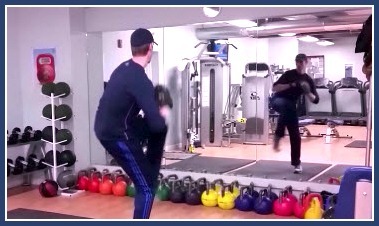 And for the same price you'd pay for a handful of ordinary pitching lessons (where once it's over, that information's gone forever), you’re getting LIFETIME ACCESS to this entire program so you can come back and watch these videos again and again. So what am I going to charge for all of this? $1,000? No way. See, even though I probably could charge that much for this program (and really, the information inside is worth way more than that to those who implement it), I want to make sure everyone who is SERIOUS about their development and could benefit from this high-level information can get it. So I’ve decided to offer it for less than a third of that. For $297, you’re getting decades of experience and a complete System so you can start using video with your pitchers like a seasoned pro. For what a lot of people spend on a youth baseball bat, you can get a LIFETIME of high-level pitching information right at your fingertips whenever you need it. And did I mention I'm taking away all the risk? Rest assured, I stand 100% behind this program. I’m so confident that this will be more powerful than any other program for helping you understand the pitching delivery and using video to skyrocket your development that I’m extending a complete 60 Day Money-Back Guarantee. Try it out, and if you decide it’s not for you, just send me an email and I’ll give your money back. No questions asked. NOTE: This is a 100% digital product – no physical items will be shipped. After your purchase you will be taken directly to a registration page where you'll get instant access to all of the videos and materials in the program.